Since we started Bijli Bachao, which was almost two years back, we have been experimenting with various appliances and measuring their electricity consumption. At our own home we measured electricity consumption of some of the appliances, replaced them with efficient options and estimated the impact post replacement. One of these is the ceiling fan. 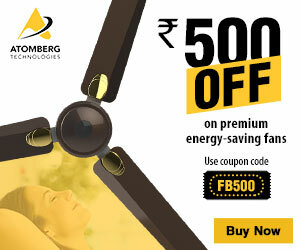 We were on regular fans about a year back, when we replaced them with BEE 5 star rated ceiling fans. 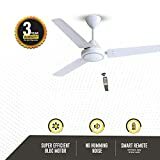 And just 3 months back we replaced one of the BEE 5 star rated fan with a SuperFan, which is one of the latest Super Efficient Ceiling fan in the market. As we have used all types of fans we thought we should put up a little comparison between the three. We have been using BEE 5 star rated fans for almost a year now. We have been quite happy with them, as they have certainly helped reducing our electricity bills. Although we have had some challenges with our electronic regulators (which we guess are not the right quality and thus do not alter the speed accurately). These fans are just like regular fans with a slightly efficient motor. As we mostly use our fans at speed of 5, these fans certainly helped us reduce our bills. The manufacturer quoted air delivery of the fan was just slightly less than the regular fan, and although a keen observation of the two fans would make you feel that the fan is a tad slow, but truly the fan did not feel bad on use. 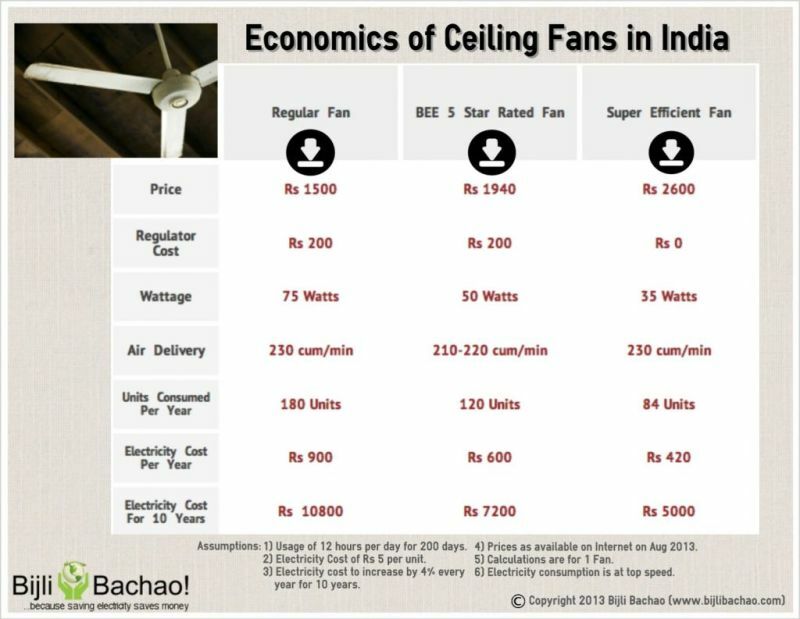 Below is an infographic that we published a few days back that can help you understand the economics of ceiling fans. And you can find out cost per unit applicable to you using our calculator: Online Electricity Bill Calculator – For all states in India.